Yearly class retreats are an essential component of Oratory’s Campus Ministry program. 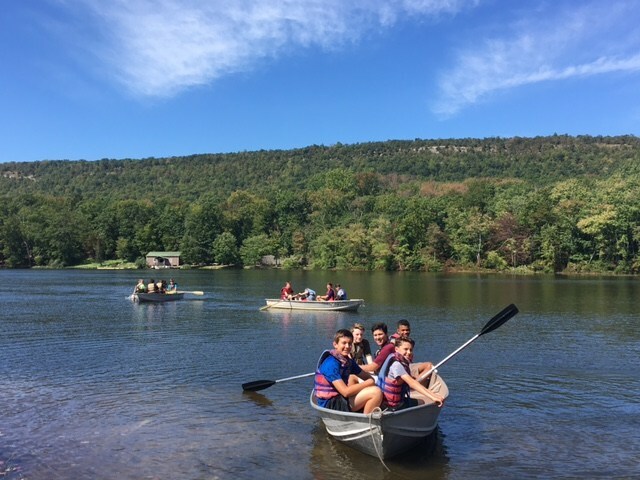 Class Retreats offer our students a time of refreshment from their busy student lives, an opportunity to reflect on themselves and their relationships, and a chance to renew their minds and spirits. Retreats are also a time for students to spend a day with all of their classmates. Our retreats are peer-led by the Campus Ministry, a group of 11th and 12th grade students who facilitate Campus Ministry activities at Oratory. Our newest additions to Oratory will spend a day getting to know each other while completing group building and high rope activities together. 8th Grade: What does it mean to live in COMMUNITY? 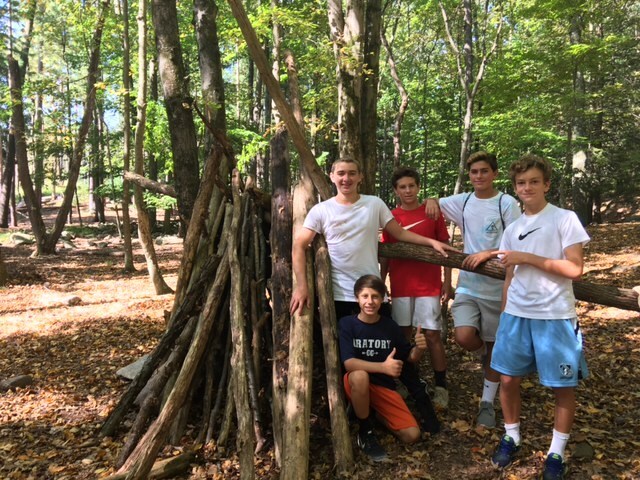 The 8th grade retreat centers on the idea of community. What is community? What does it mean to be part of a community? Students will talk about community, particularly what it means and why it is important to be part of a faith-based community like Oratory. 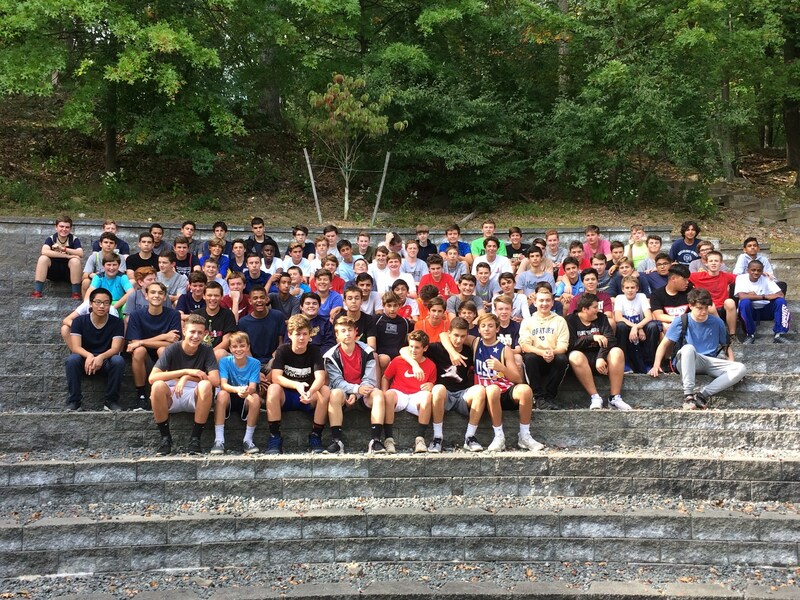 The purpose of this retreat is to give our new Freshmen class an opportunity to get to know each other, to work together, laugh with one another and spend a day outdoors enjoying the beginning of the school year and their journey at Oratory. Students will spend the day on a challenge course, learning survival skills in the woods and practicing their boating skills. The day ends with a beautiful outdoor mass on a lake. This retreat is one that students consider a favorite! 10th Grade: Who Am I? The Sophomore Retreat focuses on identity, particularly our students’ identities as children of God. Who did God make me to be? What kind of person do I desire to be? Who are the people that I admire? What does it mean to be a person of faith? 11th Grade: Who is My Neighbor? The Junior Retreat builds on the 10th grade retreat theme of identity as a man of faith and asks, how do we live out our faith in service of others? Based on the tenets of Catholic Social Teaching, students discuss what it means to follow Jesus’ example of building a just and right world. The Senior retreat is a time for our soon-to-be graduating class to spend time together reflecting on their journey so far. Based on the story in the Bible of the Road to Emmaus, students will reflect on where their road has been, where it is and where it is going. They will also think about who they have encountered on the road - friends, family, teachers, Jesus. This retreat takes place down at the Jersey shore and is peer-led by other Seniors.